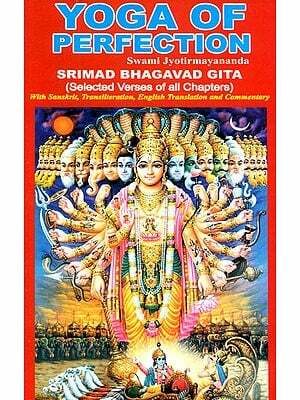 Bhagavad-gita is universally renowned as the jewel of India’s spiritual wisdom. Spoken by Lord Sri Krsna, the Supreme Personally of Godhead, to His Intimate devotee Arjuna, the Gita’s seven hundred concise verses provide a definitive guide to the science of self-realization. Indeed, no work even compares in its revelations of man’s essential nature, his environment and, ultimately, his relationship with God. His Divine Grace A. C. Bhaktivedanta Swami Prabhupada, the world’s foremost Vedic scholar and teacher, represents and unbroken chain of fully self-realized spiritual masters beginning with Lord Krsna Himself. 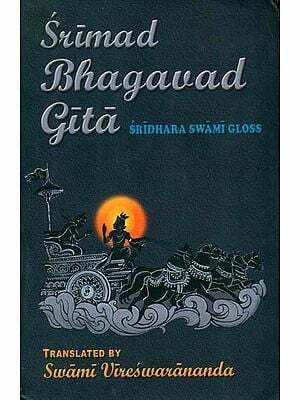 Thus, unlike other editions of the Gita, his edition conveys Lord Krsna’s profound message as it is – without the slightest taint of adulteration of personally motivated change. Originally I wrote Bhagavad-gita As It Is in the form in which it is presented now. 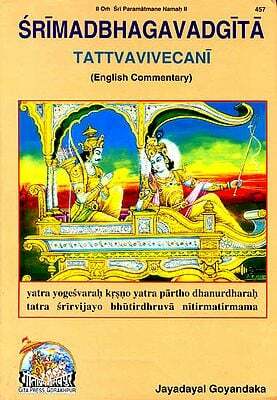 When this book was first published, the original manuscript was, unfortunately, cut short to less than 400 pages, without illustrations and without explanations for most of the original verses of the Srimed Bhagavad-gita. In all of my other books-Srimad-Bhagavatam, Sri Isopenised, etc.-the system is that I give the original verse, its English transliteration, word-for-word Sanskrit-English equivalents, translations and purports. This makes the book very authentic and scholarly and makes the meaning self-evident. I was not very happy, therefore, when I had to minimize my original manuscript. But later on, when the demand for Bhagavad-gita As It Isconsiderably increased, I was requested by many scholars and devotees to present the book in its original form. Thus the present attempt is to offer the original manuscript of this great book of knowledge with full parampara explanation in order to establish the Krsna consciousness movement more soundly and progressively. If personally I have any credit in this matter, it is only that I have tried to present Bhagavad-gita as it is, without any adulteration. Before my presentation of Bhagavad-gita As It Is, almost all the English editions of Bhagavad-gita were introduced to fulfill someone's personal ambition. But our attempt, in presenting Bhagavad-gita As It Is, is to present the mission of the Supreme Personality of Godhead, Krsna. Our business is to present the will of krsna, not that of any mundane speculator like the politician, philosopher or scientist, for they have very little knowledge of Krsna, despite all their other knowledge. When Krsna says, man-mana bhava mad-bhakto mad-yaji mam namaskuru, etc., we, unlike the so-called scholars, do not say that krsna and His inner spirit are different. Krsna is absolute, and there is no difference between Krsna's name, krsna's form, Krsna's qualities, Krsna's pastimes, etc. 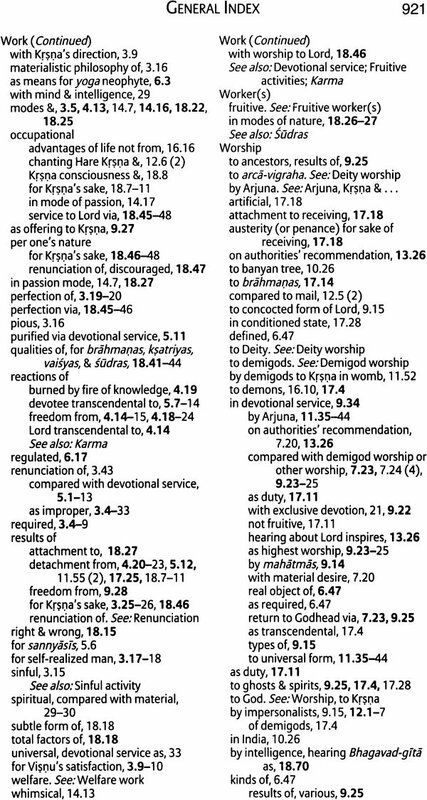 This absolute position of Krsna is difficult to understand for any person who is not a devotee of krsna in the system of parampara (disciplic succession). Generally the so-called scholars, politicians, philosophers, and svamis, without perfect knowledge of krsna, try to banish or kill Krsna when writing commentary on Bhagavad-gita. 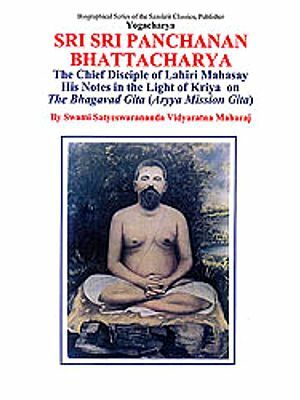 Such unauthorized commentary upon Bhagavad-gita is known as mayavada-bhasya, and Lord Caitanya has warned us about these unauthorized men. Lord Caitanya clearly says that anyone who tries to understand Bhagavad-gita from the Mayavadi point of view will commit a great blunder. The result of such a blunder will be that the misguided student of Bhagavad-gita will certainly be bewildered on the path of spiritual guidance and will not be able to go back to home, back to Godhead. Our only purpose is to present this Bhagavad-gita As It is in order to guide the conditioned student to the same purpose for which krsna descends to this planet once in a day of Brahma, or every 8,600,000,000 years. This purpose is stated in Bhagavad-gita, and we have to accept it as it is; otherwise there is no point in trying to understand the Bhagavad-gita and its speaker, Lord Krsna. 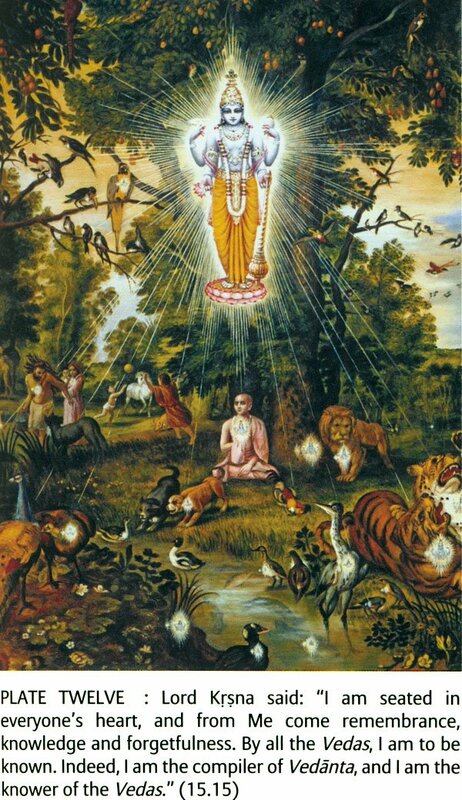 Lord Krsna first spoke Bhagavad-gitata the sun-god some hundreds of millions of years ago. 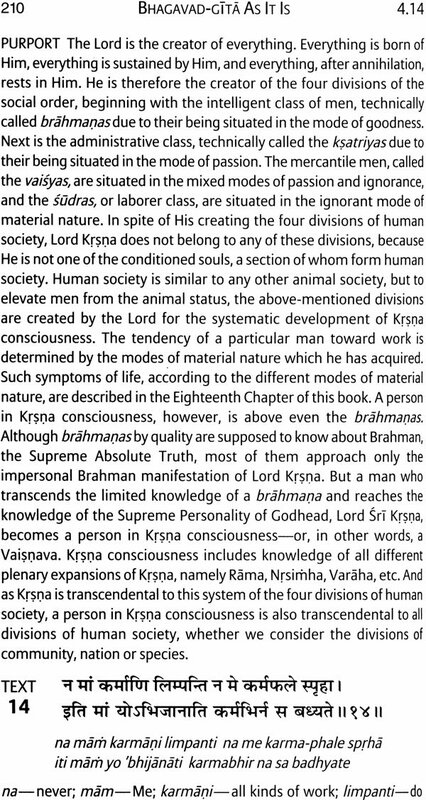 We have to accept this fact and thus understand the historical significance of Bhagavad-gita, without misinterpretation, on the authority of Krsna. To interpret Bhagavad-gita without any reference to the will of Krsna is the greatest offense. In order to save oneself from this offense, one has to understand the Lord as the Supreme Personality of Godhead, as He was directly understood by Arjuna, Lord Krsna's first disciple. Such understanding of Bhagavad- gitas really profitable and authorized for the welfare of human society in fulfilling the mission of life. The Krsna consciousness movement is essential in human society, for it offers the highest perfection of life. How this is so is explained fully in the Bhagavad-gita. Unfortunately, mundane wranglers have taken advantage of Bhagavad-gita to push forward their demonic propensities and mislead people regarding right understanding of the simple principles of life. Everyone should know how God, or Krsna, is great, and everyone should know the factual position of the living entities. Everyone should know that a living entity is eternally a servant and that unless one serves Krsna one has to serve illusion in different varieties of the three modes of material nature and thus wander perpetually within the cycle of birth and death; even the so-called liberated Mayavadi speculator has to undergo this process. This knowledge constitutes a great science, and each and every living being has to hear it for his own interest. People in general especially in this Age of Kali, are enamored by the external energy of Krsna, and they wrongly think that by advancement of material comforts every man will be happy. 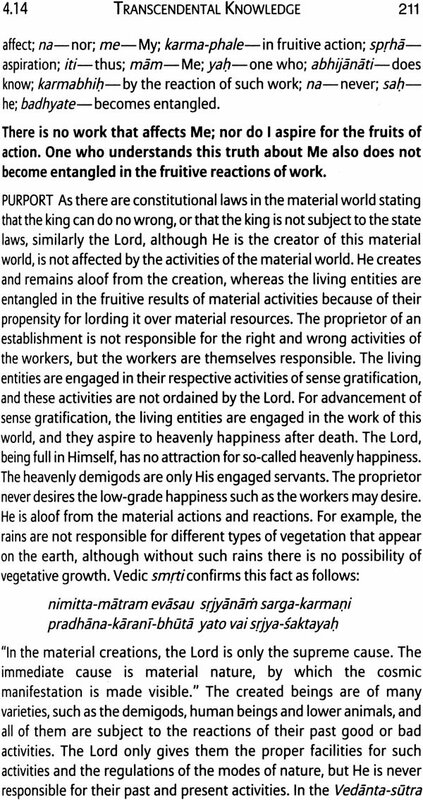 They have no knowledge that the material or external nature is very strong, for everyone is strongly bound by the stringent laws of material nature. A living entity is happily the part and parcel of the Lord, and thus his natural function is to render immediate service to the Lord. By the spell of illusion one tries to be happy by serving his personal sense gratification in different forms which will never make him happy. Instead of satisfying his own personal material senses, he has to satisfy the senses of the Lord. That is the highest perfection of life. The Lord wants this, and He demands it. 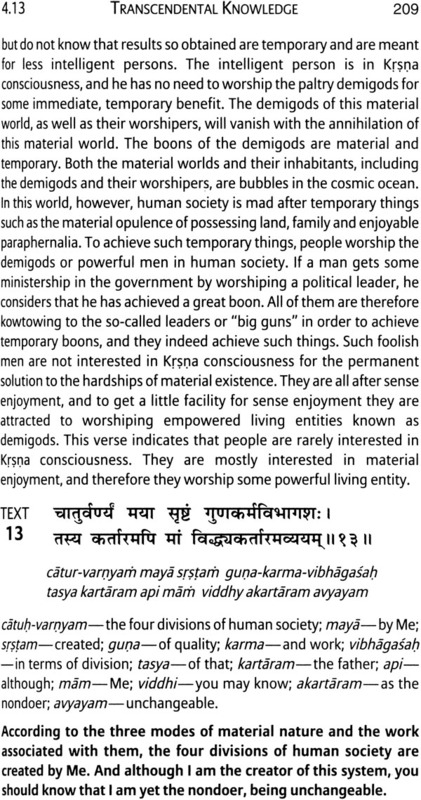 One has to understand this central point of Bhagavad-gita. Our krsna consciousness movement is teaching the whole world this central point, and because we are not polluting the theme of Bhagavad-gta As It Is, anyone seriously interested in deriving benefit by studying the Bhagavad-gita must take help from the krsna consciousness movement for practical understanding of Bhagavad- gita under the direct guidance of the Lord. We hope, therefore, that people will derive the greatest benefit by studying Bhagavad-gita As It is we have presented it here, and if even one man becomes a pure devotee of the Lord, we shall consider our attempt a success. When will Sarila Rupa Gosvami Prabhupada, who has established within this material world the mission to fulfill the desire of Lord Caitanya, give me shelter under his lotus feet? I offer my respectful obeisances unto the lotus feet of my spiritual master and unto the feet of all Vaisnavas. I offer my respectful obeisances unto the lotus feet of Srila Rupa Gosvami along with his elder brother Sanataria Gosvami, as well as Raghunatha Dasa and Raghunatha Bhatta, Gopala Bhatta, and Srila Jiva Cosvami. I offer my respectful obeisances to Lord krsna Caitanya and Lord Nityananda along with Advaita Acarya, Gadadhara, Srivasa, and other associates. I offer my respectful obeisances to Srimati Radharani and Sri Krsna along with Their associates Sri Lalita and Visakha. O my dear Krsna, You are the friend of the distressed and the source of creation. You are the master of the gopTs and the lover of Radharani. I offer my respectful obeisances unto You. I offer my respectful obeisances unto all the Vaisnava devotees of the Lord. They can fulfill the desires of everyone, just like desire trees, and they are full of compassion for the fallen souls. I offer my obeisances to Sri Krsna Caitanya, Prabhu Nityananda, Sri DaVita, Gadadhara, Srivasa and all other in the line of devotion. 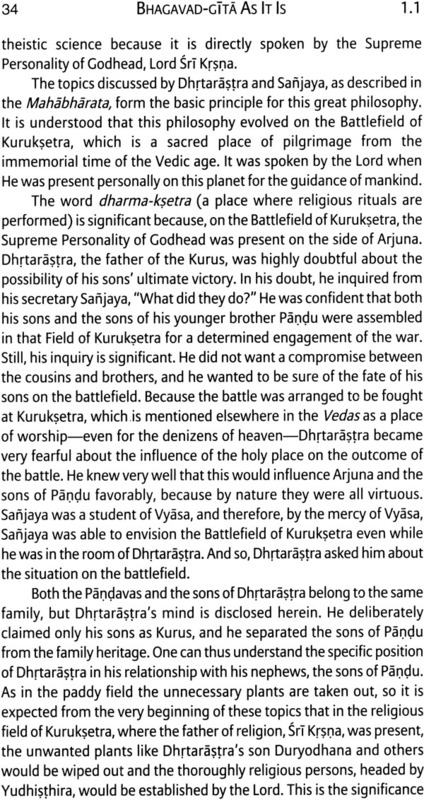 The spirit of Bhagavad-gita is mentioned in Bhagavad-gita itself. It is just like this: If we want to take a particular medicine, then we have to follow the directions written on the label. We cannot take the medicine according to our own whim or the direction of a friend. It must be taken according to the directions on the label or the directions given by a physician. Similarly, Bhagavad-gita should be taken or accepted as it is directed by the speaker Himself. 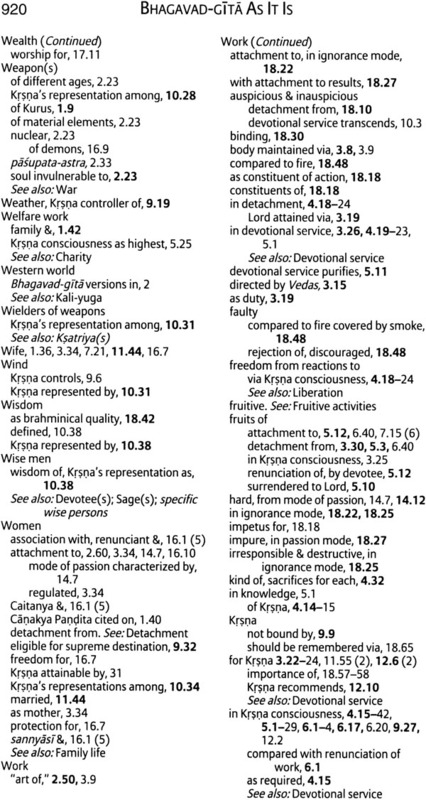 The speaker of Bhagavad-gita is Lord Sri krsna. He is mentioned on every page of Bhagavad-gita as the Supreme Personality of Godhead, Bhagavan. Of course the word bhagvan sometimes refers to any powerful person or any powerful demigod, and certainly here bhagavan designates Lord Sri Krsna as a great personality, but at the same time we should know that Lord Sri krsna is the Supreme Personality of Godhead, as is confirmed by all great acaryas (spiritual masters) like Sankaracarya, Ramanujacarya, Madhvacarya, Nimbarka Svami, Sri Caitanya Mahaprabhu and many other authorities of Vedic knowledge in India. 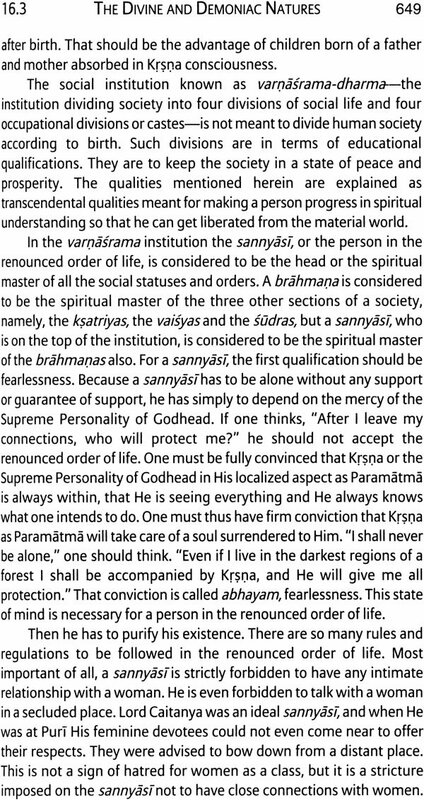 The Lord Himself also establishes Himself as the Supreme Personality of Godhead in the Bhagavad-gita, and He is accepted as such in the Brahma-samhita and all the Puranas, especially the Sri mad- Bhagavatam, known as the Bhagavata Purana (krsnas tu bhagavan svayam). 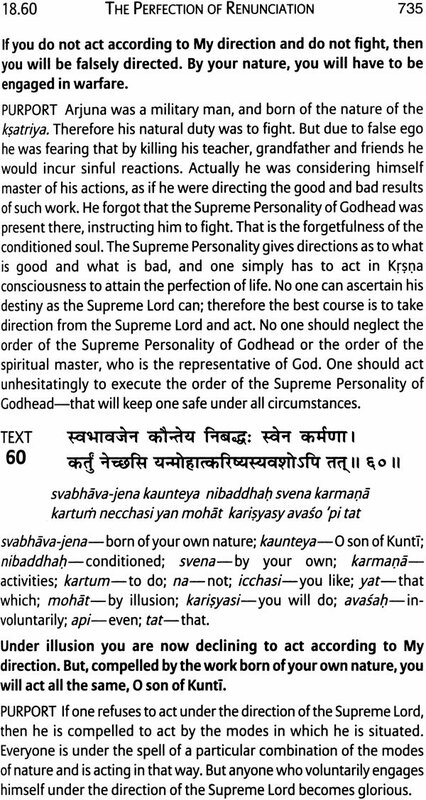 Therefore we should take Bhagavad-gita as it is directed by the Personality of Godhead Himself. 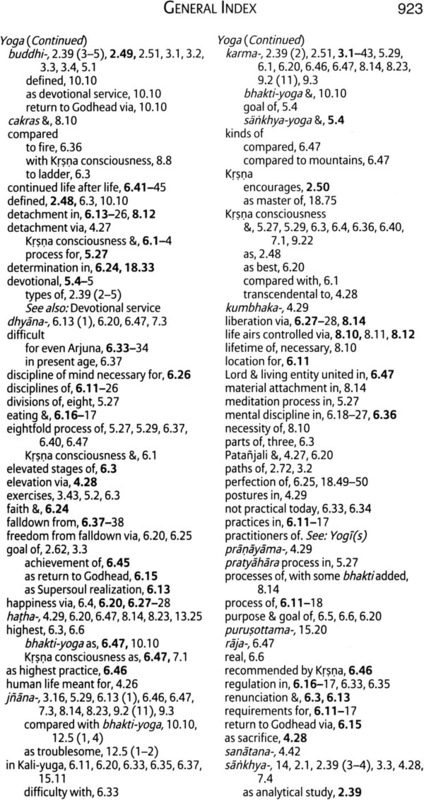 In the Fourth Chapter of the Gita (4.1-3) the Lord says: Here the Lord informs Arjuna that this system of yoga, the Bhagavad- gita, was first spoken to the sun-god, and the sun-god explained it to Manu, and Manu explained it to Iksvaku, and in that way, by disciplic succession, one speaker after another, this yoga system has been coming down. But in the course of time it has become lost. Consequently the Lord has to speak it again, this time to Arjuna on the Battlefield of Kuruksetra. Arjuna was in a relationship with the Lord as friend. Of course there is a gulf of difference between this friendship and the friendship found in the material world. This is transcendental friendship, which cannot be had by everyone. Of course everyone has a particular relationship with the Lord, and that relationship is evoked by the perfection of devotional service. But in the present status of our life, not only have we forgotten the Supreme Lord, but we have forgotten our eternal relationship with the Lord. Every living being, out of the many, many billions and trillions of living beings, has a particular relationship with the Lord eternally. 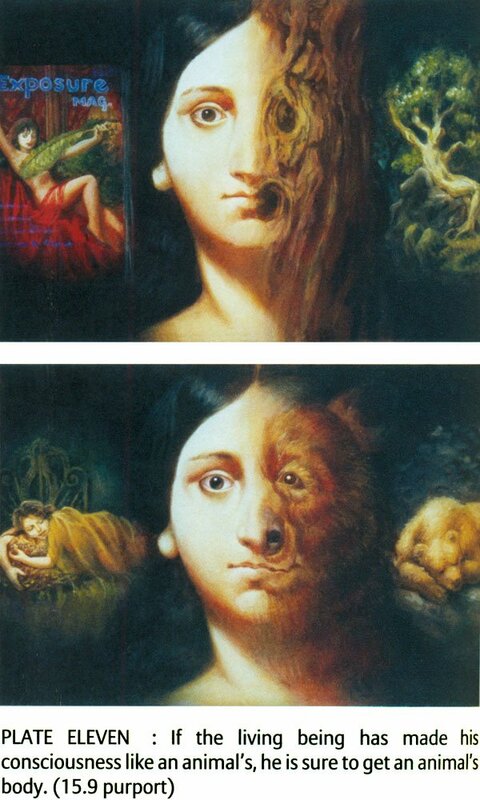 That is called svarupa. By the process of devotional service, one can revive that svarupa, and that stage is called svarupa-siddhi—perfection of one's constitutional position. So Arjuna was a devotee, and he was in touch with the Supreme Lord in friendship. "Arjuna said: You are the Supreme Personality of Godhead, the ultimate abode, the purest, the Absolute Truth. You are the eternal, transcendental, original person, the unborn, the greatest. All the great sages such as Narada, Asita, Devala and Vyasa confirm this truth about You, and now You Yourself are declaring it to me. 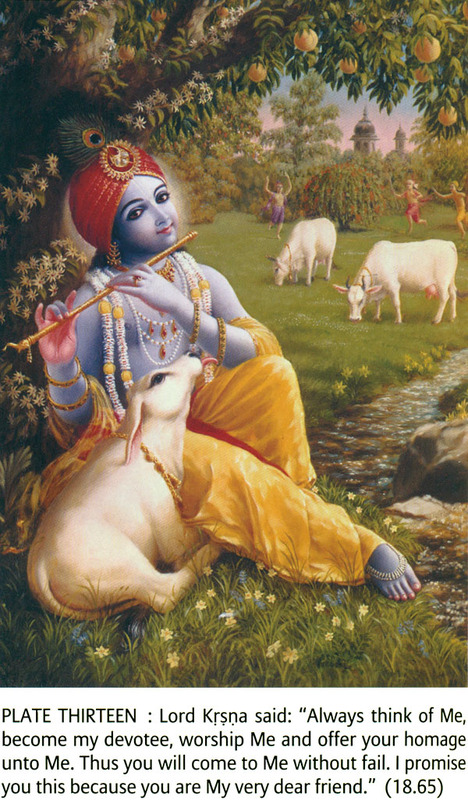 O Krsna, I totally accept as truth all that You have told me. Neither the demigods nor the demons, 0 Lord, can understand Your personality." After hearing Bhagavad-gita from the Supreme Personality of Godhead, Arjuna accepted Krsna as perem brahma, the Supreme Brahman. Every living being is Brahman, but the supreme living being, or the Supreme Personality of Godhead, is the Supreme Brahman. 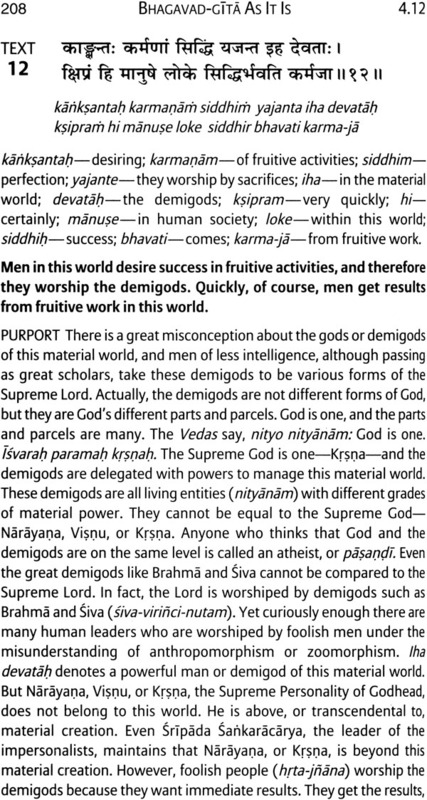 Param dhama means that He is the supreme rest or abode of everything; pavitram means that He is pure, untainted by material contamination; purusam means that He is the supreme enjoyer; sasvatam, eternal; divyam, transcendental; sdi-devem, the original Supreme Personality of Godhead; ajam, the unborn; and vibhum, the greatest. Now one may think that because Krsna was the friend of Arjuna, Arjuna was telling Him all this by way of flattery, but Arjuna, just to drive out this kind of doubt from the minds of the readers of Bhagavad- gita, substantiates these praises in the next verse when he says that Krsna is accepted as the Supreme Personality of Godhead not only by himself but by authorities like Narada, Asita, Devala and Vyasadeva. These are great personalities who distribute the Vedic knowledge as it is accepted by all acaryas. Therefore Arjuna tells Krsna that he accepts whatever He says to be completely perfect. Sarvam etad rtam manye: "I accept everything You say to be true." Arjuna also says that the personality of the Lord is very difficult to understand and that He cannot be known even by the great demigods. This means that the Lord cannot even be known by personalities greater than human beings. 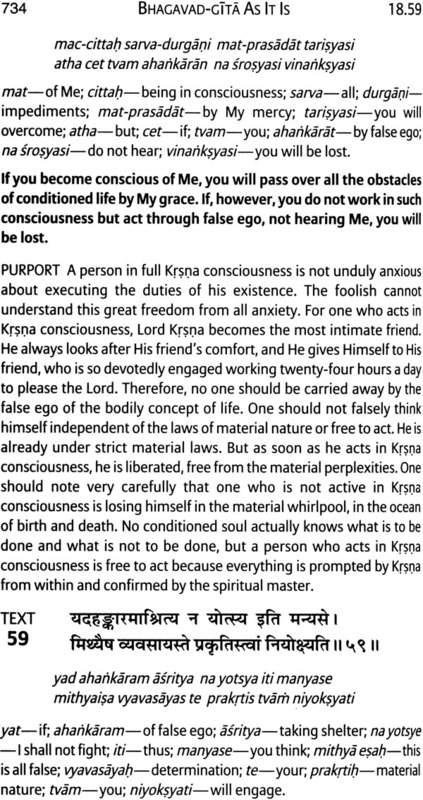 So how can a human being understand Lord Sri Krsna without becoming His devotee? Therefore Bhagavad-gJta should be taken up in a spirit of devotion. One should not think that he is equal to Krsna, nor should he think that Krsna is an ordinary personality or even a very great personality. Lord Sri krsna is the Supreme Personality of Godhead. So according to the statements of Bhagavad-gita or the statements of Arjuna, the person who is trying to understand the Bhagavad-gita, we should at least the oretically accept Sri Krsna as the Supreme Personality of Godhead, and with that submissive spirit we can understand the Bhagavad-gita. Unless one reads the Bhagavad-gita in a submissive spirit, it is very difficult to understand Bhagavad-gita, because it is a great mystery.